House Adventures: My heating system!!! My heating system!! !, originally uploaded by berkeleygal77. This, ladies and gents, is my octopus. Erm.... my heating system. In the attic. I will post titles on the rest of the pictures this afternoon. 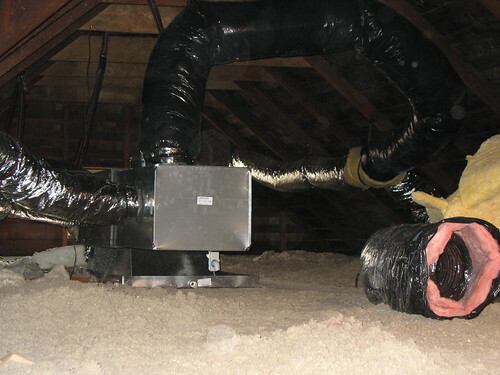 Eventually, the old and fluffy insulation you see on the floor of the attic will be vacuumed out and new insulation put in - all in time.